Established in 2000, Oh My Chocolate's gourmet chocolatiers have been setting the standard for top-quality, homemade confections in our region. From our award-winning caramel apples to our premium chocolate fountains, Oh My Chocolate spares no expense to provide its customers with the absolute best gourmet sweets for every occasion. This means that every topping and every ingredient we use is the best available in the United States and beyond, and that every OMC product is hand-made and decorated by our talented and experienced staff. 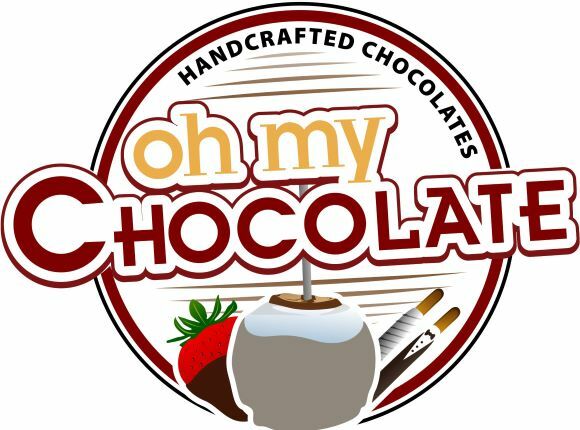 In addition to the products available here on the site, Oh My Chocolate also specializes in customized favors and buffet assortments perfect for weddings, banquets, and other functions. Examples would include the hundreds of Baseball Apple favors we have made for the Baltimore Orioles and their associates, and our celebrated Bride & Groom designs available on a wide array of products in many shapes and sizes. When it comes to custom confections, our selection is limited only by your imagination. And while we're on the subject of catered events, Oh My Chocolate's premium chocolate fountains are beyond comparison in the Baltimore/Washington area. Our heated, brushed-steel fountains cascade with the best American-made chocolate available. You have your choice of gourmet milk, dark, or white chocolate, and white chocolate can be colored and flavored in limitless combinations. So whether you're looking for a few delicious delectables delivered right to your door or amazing additions to a catered affair, Oh My Chocolate is the solution.